It is a known fact that plastics are extremely difficult to dissolve, plastic waste is one of the most painful problems for countries around the world. The risks that this “stubborn” waste brings include diseases, pollution, and ecological imbalances. 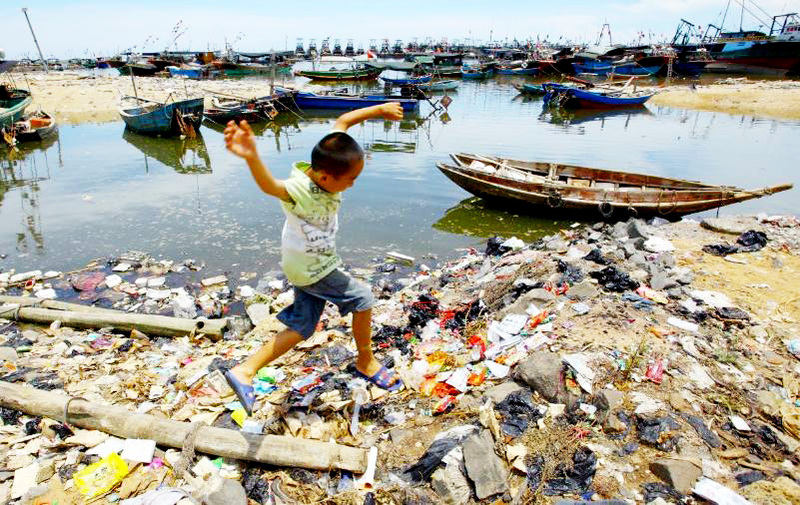 Currently, Vietnam is in the top five countries that discharge plastic into the oceans the most. The main reasons are the recycling technology is old-fashion and the awareness of people about the impact of plastic and environmental protection is limited. Moreover, apart from the plastic waste of industrial production, a large number of plastic things from our daily activities (such as straws, bags, cups, spoons, etc.) also contributes significantly to the total volume of plastic dumped into the seas every day. However, a good sign is that Vietnamese young generation are raising their awareness of environmental protection and the movement of plastic restrictions has become stronger day by day. The most obvious evidence is that campaigns, such as stop using plastic bags or recycle plastics, have spread across social networks (Facebook, Instagram, Twitter, Snapchat …) and people are eager to take action. Promoting environmental responsibility is an integral part of our vision at PJ’s Coffee Vietnam. We understand the public’s concern about environmental pollution and the danger of plastic. It’s the driving force behind our desire to minimize the negative impacts and raise the public awareness. To build a community in Vietnam and to encourage the public to replace disposable plastic products in everyday use, PJ’s Coffee is pleased to launch a long-term plan to reduce plastic consumption in the business. At every stage of the plan, PJ’s Coffee intends to remove plastic items and replace them with environmentally friendly materials such as paper, bamboo or reusable materials such as metals and alloys. Starting from April 2018, the PJ’s “SAY NO TO PLASTIC STRAWS” campaign was implemented as a pioneering move, paving the way for PJ’s Coffee Vietnam’s environmental goals. 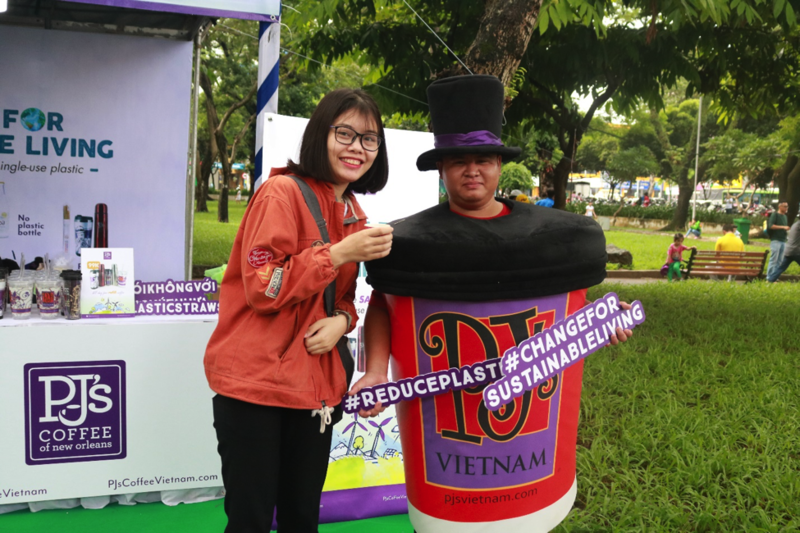 The first event was on April 14th, PJ’s Coffee Vietnam successfully cooperated with CHANGE Vietnam in the iChange Plastics campaign to spread the message “Save the environment” during the Forbes 30 Under 30 event. 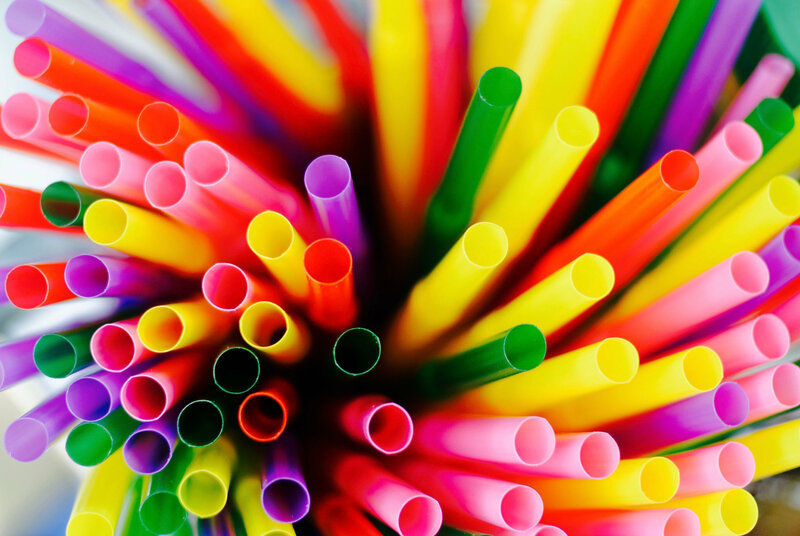 Following the success of PJ’s very first collaboration with CHANGE Vietnam, PJ’s has launched an organization-wide “termination” of the use of plastic straws. Specifically, every single red plastic straw of PJ’s Coffee Vietnam was replaced with more appealing and highly eco-friendly paper straws. 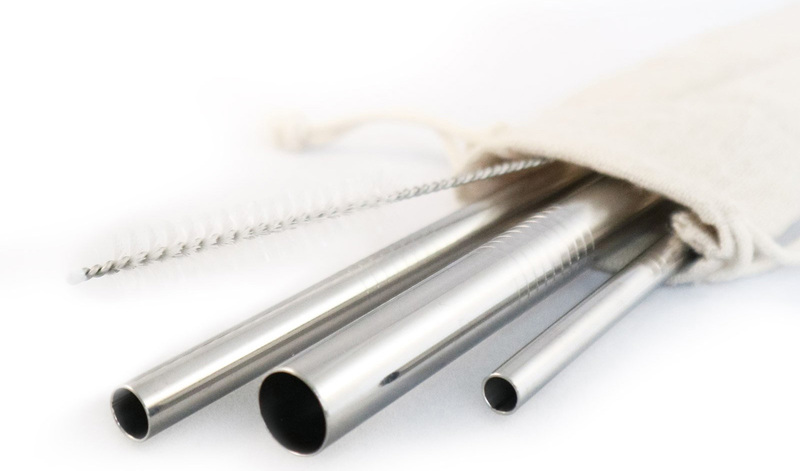 In addition, PJ’s Coffee Vietnam will offer reusable straw kits for sale at all of our stores in the third week of June. The kit consists of one bamboo straw and one cleaning brush; all items will be wrapped in a fabric pouch. 10% of the profit from selling these kit will be donated directly to CHANGE Vietnam to aid their future activities to raise awareness for a greener and cleaner Vietnam. If you go to our Facebook page, you will find the hashtag #noplasticstraws mentioned frequently to encourage our followers to take action and participate in this meaningful event. As for the stage two of PJ’s No Plastic campaign, we are planning to replace all plastic bottles with the durable glass alternative. Therefore, we have switched to Alba, a water product which contains many necessary minerals and comes in glass bottles. From the beginning of June, we’ve been displaying Alba Natural Mineral Water for sale. You can find these environment-friendly, delicious and good-looking water bottles standing on our display shelf! The next step in our plan is to replace every plastic cup at all PJ’s Coffee Vietnam branches with Keepcups. 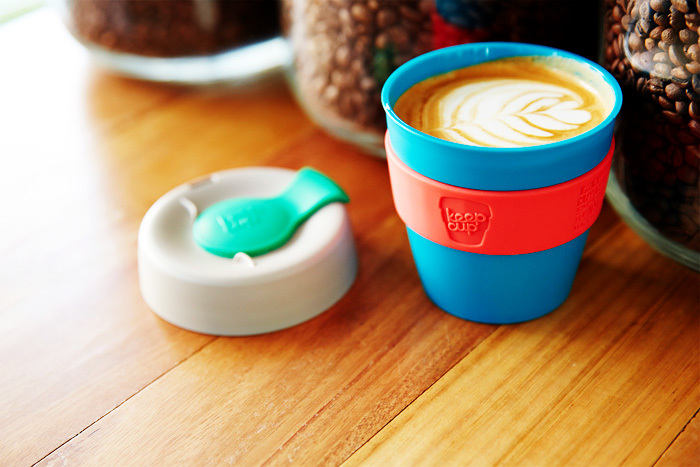 Keepcup is an Australian brand. Their cups are produced entirely locally and are specially designed to be colorful (to attract the consumer’s attention), extremely durable, lightweight, and most importantly, they are made with significantly less plastic. Keepcups are now sold in over 65 countries around the world. From 7th July 2018, PJ’s Coffee will begin to sell Keepcups at a discounted price to encourage our customers to use a greener alternative for their drinks instead of the normal plastic containers. This is the first time a coffee chain in Vietnam is being associated with an Australian brand, and also represents PJ’s contribution to the “Plastic Termination Revolution”! Protecting the environment is protecting our future lives!